I’m a vegetarian – have been since I was 12 years old. I have a phobia about flying insects. I like to collect things. My biggest collection is probably my Living Dead Dolls. I suffer from insomnia which is good for reading but not so good for getting up to work the next day. I love animals but cannot have any pets because my partner is allergic. Clementine @ Hey, Library Girl! 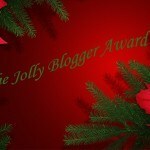 No one is under any obligation to accept this award – I just wanted to let you all know how much I appreciate your blog and how glad I am to have so many lovely blogs to follow! Thank you so much for nominating me! It means so much that you enjoy my blog! 😀 I will definitely put up a post this weekend! You’re very welcome – I <3 your blog! 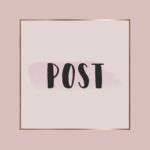 One Lovely Blog Award | "I Think I'm Obsessed"